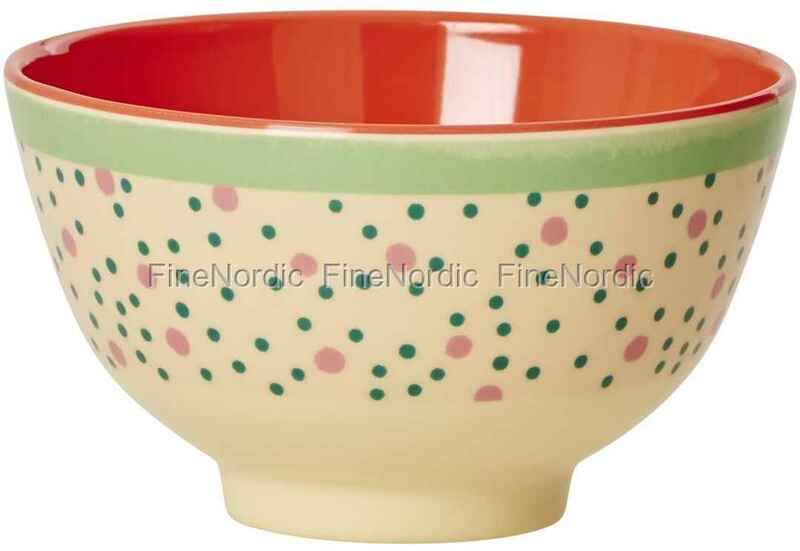 We are not only sold on this small Rice melamine bowl with Connecting the Dots Print because of the colorful pattern. Also we are excited about the good melamine quality of this small bowl, which makes it robust and durable. The wonderful color coordinated bowl, with its happy dots on the outside and the bright monochrome color on the inside of the bowl, is a real feast for the eyes. The perfect sauces and dip bowl and even small snacks can be served well in it. At garden parties, beach parties or a trip to the park, it is a faithful companion you can always rely on. Thanks to the strong melamine the bowl is great for outings, the garden and also for everyday use in the house. If you like the Connecting the Dots Print as much as we do, be sure to check out the other products of this series in our web shop.